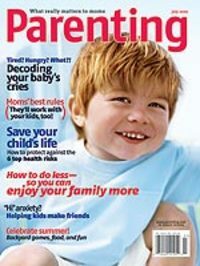 We have a tiny little mention in the July issue of Parenting magazine! Win Great Milk Factory Gear! We're approaching the 5 month mark as a new Vancouver business. This year, as well as running Milk Factory, we're going to be chasing after our two-year-olds at neighbourhood parks, beaches, and playgrounds, and taking part in all kinds of family activities and community events. For the Milk Factory moms, this year will be all about finding a balance between work and play. To keep track of our progress, we've started a daily business blog. On our blog, we'll tell you about fun activities for kids (indoor and outdoor), offer tips on family health and wellness, and give you a peek at what's happening behind factory doors. We'll also have contests, prize draws, and weekly "blog-only" specials. Come visit us now, and see how you can win a Deluxe Sherpa Blanket--the ultimate nap-inducing blanket/throw/playmat. Our Milk Factory gear is being featured in Urban Baby & Toddler Magazine's Winter edition--in the Eureka! section. This magazine is a great resource for Vancouver parents...you can find it at the library, community centres, and various kids' stores. Plus, the super cute photo on the cover was taken by Lori at Sweet Pea Photography. Last year, as a special gift, we received a photo package with Lori. We finally got organized, and booked her for a morning in Nov. Lori was amazing with E, the outside photo session was a breeze, and when go-Daddy-O picked up the proofs and saw all of the gorgeous pictures, he actually burst into tears. Check out her site. More gorgeous photos--some of the pics brought tears to my eyes, and those aren't even my kids! Just wanted to send out a big, warm "Thank you" to Rachel at Milkbreath and Me and Jenny at Three Kid Circus for supporting our new business. -our first wholesale order (actually our first two orders), placed by local retail stores Luna Winters on W. Broadway, and Little Blessings on Cambie. We're taking both the good and the bad in stride. And let me tell you, it's tiring! What's this? Free coffee and snacks. A supervised play area with a whole bunch of toys and live entertainment. Big smiles and words of encouragement from parents and other vendors. One of our customers actually had tears in her eyes after we told her our story--how we met during mat leave, quit our jobs, and started the business. Really nice folks in Langley. We'll see you again next year! We're placing a Milk Factory ad in this Sunday's Vancouver Courier, in a special section called Urban Families. All I can say is this: ads are expensive! One thing I can't believe is that this year, I'm going to be part of the big, bad holiday Christmas shopping propoganda machine. When I was 15, my first real job was to refill the Hallmark counter at a stationery store. Along with every holiday came boxes and boxes of paper products. Father's Day cards for your sister-in-law's brother. The day-after-Halloween Christmas cards. Aaargh. I swore that I would never buy into the mass consumerism mentality. What happened?! Now that we're out in the world promoting ourselves, we've landed on quite a few mailing lists. So we've been getting quite a bit of email for other online businesses...however, this is the first one I've seen in my inboxes that has a daily blog! Of course, I am now reminded that 1) we haven't been posting to the Milk Factory blog regularly. And 2) we haven't yet linked our business site to our blog. So most likely, there will be some changes happening on the Milk Factory blog, and we'll be writing more often about our so-called "new baby". Penny and I are taking a blogging hiatus since we are busy starting up our new business. Visit our Milk Factory website: www.milkfactory.com to see what we've been up to.